Here is a quiz from Chay Hawes that is sure to nag at you. 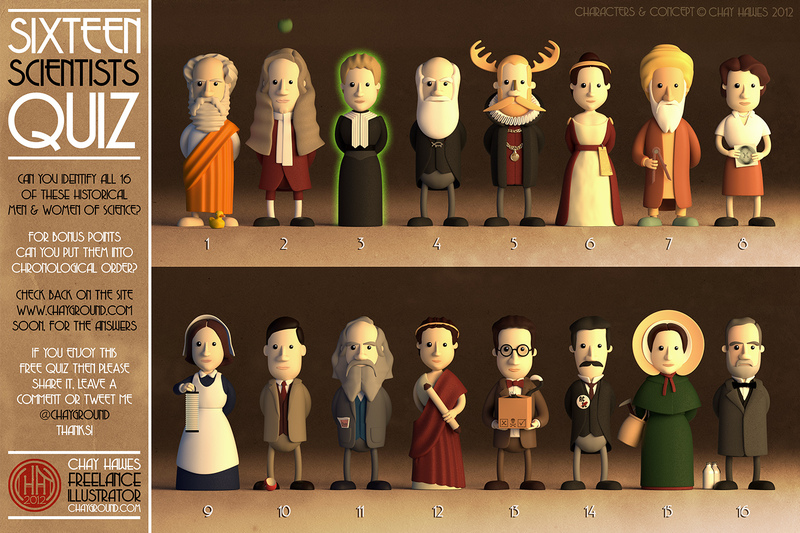 Can you name these twelve scientists? I thought that the apple for #10 was a nice touch. The answers are provided here if you are ready to give up (don’t give up! okay, I gave up).